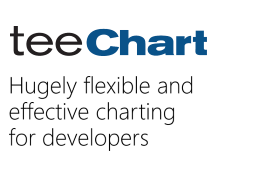 Steema is pleased to announce the introduction of the TeeChart NET Standard for Xamarin.Forms Edition. Standard Edition is a Nuget based Charting control designed to offer standard business chart types & gauges for iOS, Android and Universal Windows Platform (UWP), and it's offered at the introductory price of $199! Follow this link on nuget.org to access the fully functional evaluation version downloadable to Visual Studio.NET as a Nuget package. Compare features between the Standard and Pro version of TeeChart via the Feature Comparison table. Visit TeeChart NET for Xamarin.Forms product pages for more details.